The State Department on Thursday said the U.S. is reviewing materials presented by the Turkish government, amid a report that the U.S. is exploring the possibility of removing an enemy of Turkish President Recep Erdogan from the U.S.
NBC News reported Thursday that the Trump administration is looking for ways to remove Turkish religious scholar Fethullah Gulen as a way to placate Turkey over the killing of Washington Post journalist Jamal Khashoggi, citing two senior U.S. officials and two others briefed on the requests. NBC reported the consideration includes directions to the Justice Department and FBI to reopen an extradition case. The Turkish government blames Gulen for a bloody July 2016 coup in Turkey. "The NSC has not been involved in nor aware of any discussions relating the extradition of Fethullah Gulen to the death of Jamal Khashoggi," a spokesperson for the National Security Council told CBS News. State Department spokesperson Heather Nauert told reporters that Gulen and the question of the Saudis are unrelated, and claimed reports have tried to "conflate the two." Nauert said the U.S. has received multiple requests from the Turkish government related to Gulen, and the U.S. continues to evaluate materials that the Turkish government presented. The case, Nauert said, is being handled out of the Justice Department. However, the Justice Department said it was unaware of any discussions about extraditing Gulen to Turkey. "The Justice Department has not been involved in nor aware of any discussions relating the extradition of Fethullah Gulen to the death of Jamal Khashoggi," Nicole Navas Oxman, a Justice Department spokesperson, told CBS News. The Alliance for Shared Values, a nonprofit umbrella of the Gulen movement, said it is "alarmed" by the report that the administration is considering Gulen's removal. 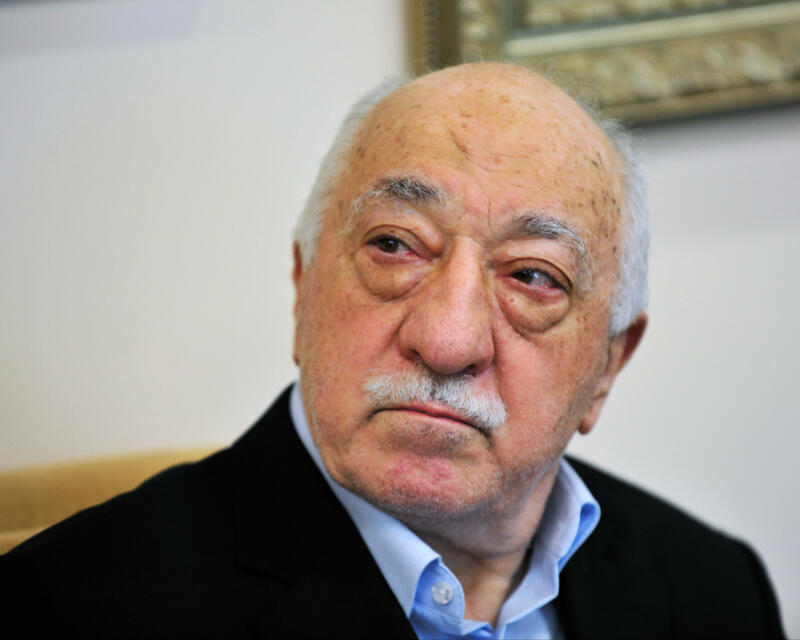 "We are alarmed at reports that the administration is exploring the possible removal of Fethullah Gulen from the United States," the Alliance for Shared values said in a statement. "The Turkish government repeatedly has failed to provide appropriate evidence to the United States that Mr. Gulen was responsible for the deplorable July 15, 2016, coup attempt, involvement in which Mr. Gulen has repeatedly and emphatically denied. Now, according to media reports, the Turkish government is attempting to turn the tragic murder of Saudi journalist Jamal Khashoggi into a bargaining chip for its illegal demand. Sending Mr. Gulen to Turkey almost certainly would lead to his death. We hope and expect that the United States government will abide by all conditions of its laws and treaties to ensure that due process is followed." In a rare interview with NPR last year, Gulen said he would not protest if the U.S. decided to extradite him, though he suggested doing so would harm the U.S.' reputation. "With regards to the extradition demand by Turkey, I think the United States is mindful of its reputation for democracy and the rule of law. And if they are willing to risk that reputation by extraditing me based on the request and claims made by Turkey, I would never say no," he said (through an interpreter), even though he expects the worse, should he be forced to return to Turkey. "I would go willingly. I am living my final years, even if they decide to kill me or poison me or bring back the death sentence to hang me." But, he added, should he be extradited and sentenced to death in Turkey, he has a final wish. "I will say the person who caused all this suffering and oppressed thousands of innocents, I want to spit in his face," he told NPR. Asked whether he was referring to Erdogan, Gulen replied, "It can't be anyone else. He is the oppressor." Kylie Atwood, Paula Reid and Olivia Gazis contributed to this report.